Main Site → About Microsoft → PC → Desktop PC vs. Mobile PC – What’s the Difference? Desktop PC vs. Mobile PC – What’s the Difference? If you work in an office, a hospital or at any other stationary place, you may be just fine with a desktop PC. However, if your job demands travels or your lifestyle is not sedentary, you really have no other choice than to purchase a mobile computer for your needs. 1 Desktop PC vs. Mobile PC – What’s the Difference? Today’s laptops as as powerful as desktop PCs. They have been equipped with large hard drives, high resolution graphics and other features that used to be expensive, but are already not. All laptops include very important wireless networking. 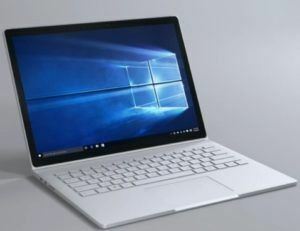 Many PC owners choose today either a tablet, like Microsoft’s Surface or netbook, which looks more like a conventional laptop, but on a significantly smaller scale. In our days, both the tablet and the netbook offer light weight and long batter life, although they can’t offer the power and peripheral connectivity of a laptop. Laptops are more expensive than desktops, and you’ll pay dearly for the portability of a laptop or tablet. Yes, netbooks are very inexpensive, but they have fewer features and less power than a typical laptop or tablet. Laptops aren’t as expandable as desktops: Yes, it’s possible to hang plenty of peripherals off a modern laptop, desktops are easier to expand and upgrade. You can change processor and graphic card easily, for example, without any skills. Laptops cost more to repair: If the sound card fails in your desktop, you just replace it yourself with a new adapter card. On the contrary, if the sound hardware fails in your laptop, pull your wallet! You can’t fix the card yourself. Besides, many times the entire motherboard built into the units will probably need to be replaced, as laptop manufacturers put all the graphics and video hardware on the motherboard to save space. According to many sources, in 2015, the number of mobile-only users overtook desktop users. No doubt that this trend will only become more pronounced over the next years, as users shift away from being tethered to desks. Indeed, many companies over the last several years have invested in mobile experiences for their customers. Even Intel announced that it was shifting its focus away from desktops onto servers, mobile-enabled technologies and the Internet of Things. Of course, all this doesn’t mean the death of PC is upon us, but it does signify that more thought needs to be put into the differences between the desktop and mobile experiences. But till now, a few companies have taken a fairly wide approach to creating the applications or responsive designs. Good user interface: Indeed, many websites, whether mobile or desktop, are still hard to read. And our browsing experience confirms that sometimes the navigation makes it hard to accomplish what you set out to do, as a result of a poorly thought-out user interface. On both platforms, the unfriendly user interface leads to higher bounce rates, less time spent on site and lower likelihood. Researching and digesting content: There are trade-offs when it comes to researching and digesting content on desktop versus mobile devices. It’s much harder to read on one’s mobile device on a plane and so on. It’s also much less enjoyable to read a book on a phone. Email: There are definitely benefits to writing and reading email on a PC or a laptop versus a tablet or phone, even if users have become pretty facile at both today. In many cases, we can use both experiences to our advantage, for example, using mobile for quick perusal and responses to urgent emails and passing to desktop for digesting or crafting lengthier. Photo and video browsing and editing: Taking pictures or videos is much easier to do on a mobile device than on a laptop or PC. However browsing, and editing is still easier to do on PC. Well, this is arguable, as many will argue that it’s easier to edit photos on a mobile device with built-in capabilities in applications like Instagram, Snapchat and Facebook, even when it will be a while before creative types choose their smartphones for deep-dive Photoshop editing. Here are a few critical differences when thinking about the overall user experience. For example, in real estate, using a cell phone means more compact navigation, different graphic layouts, bigger type, less text, and so on. As to finding a location, tracking a user’s whereabouts is much less precise on a desktop than on a mobile device, which usually knows where a person is down to a few meters radius. Obviously, desktops will continue to get better at this as IP addresses will provide more precise locations, but mobile users are increasingly reliant on their devices. Push notifications: Alerts on our PCs and laptops don’t have the same impact or messaging opportunity as push notifications on a phone or tablet. Portability: Admit that this is one of the reasons mobile-only usage has overtaken desktop usage. But desktops are great for more intensive tasks that require heavy-duty editing, writing, reading and processing, while mobile is better for real time, digesting and capturing. You want to switch to a new model but don’t have enough means? We at iGotOffer help you save money for your new purchase. We pay the best price online for your old electronic devices. Free instant quote, free fully insured shipping, fast and secure payment. Well, i you enjoy the wireless mobility and touchscreen capabilities, all while sipping coffee in your bed or at your neighborhood Starbucks, then a notebook might be fit your life on-the-go. For those who enjoy a theatre-quality experience while viewing their favorite movies, the all-in-one PC is a nice alternative. And it’s a good choice for families who love getting together in their leisure time. That’s all what you need to know when you make your choice.